This gourmet grocer makes its debut with a fifth-floor warehouse unit in the towering Tan Boon Liat Building on Outram Road. Here, the concept of the house brand is taken to gourmet levels as owners Bruce Chapman and Robert Collick (the latter owned the franchise rights to Jones the Grocer here until last year, and the former helmed operations as its general manager) commissioned a group of artisans to create Providore-branded topshelf drinks and condiments. 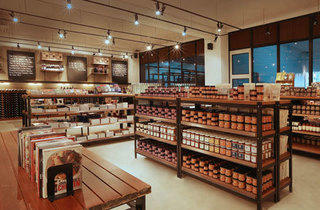 ‘We consider Singapore our home,’ says Collick of The Providore’s branding philosophy. 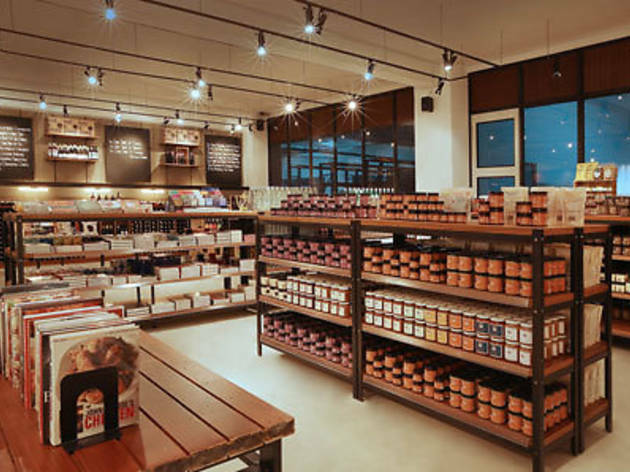 ‘And we feel that with Singapore’s foodie scene developing at such as fast pace, it should have its own home grown gourmet food brand.’ The pair worked with local artisans like a tea merchant to come up with a selection of 15 blends ($18.50- $24.50, including five Earl Grey varieties), Toby’s Estate to create four coffee roasts to suit a wide range of tasters, as well as makers in Australia for its boutique range of pasta sauces ($18.50), chutneys, jams ($14.90), juice cordials ($15.50) and chocolates ($14.50). These are placed alongside similarly unique and exclusively imported brands like Beschle chocolate truffles from Switzerland, soup stocks by The Stock Merchant and ice cream sandwiches by Pat and Stick, both from Australia. The Providore Warehouse also offers a selection of craft beers from Spain, Scotland, Australia and America (from $8.50), as well as champagnes and wines from brands known and boutique (from $21.60) with discounts on six-bottle purchases and up.